Quality Control Tastings – Amber Crossing Update. They say that curiosity killed the cat. Sometimes this can be applied to cheese making too. 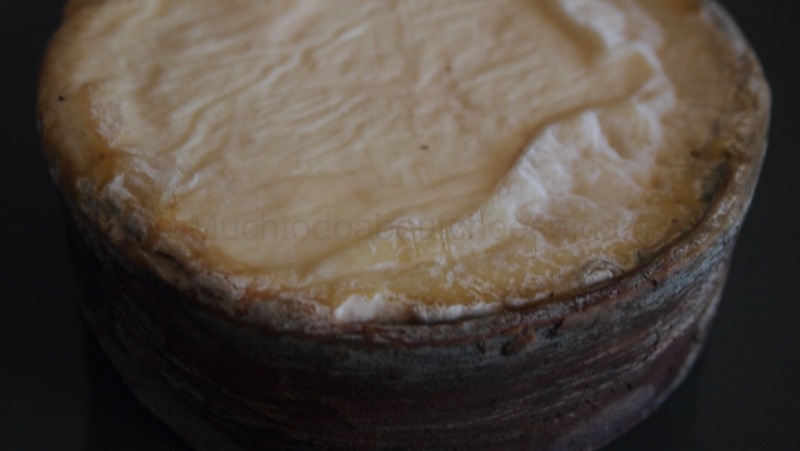 I have been curious how the Amber Crossing, my spruce wrapped-amber ale washed, cheeses would turn out. I know that the cheeses are less than 60 days old, but it was time to try at least the one that did not have a strap, as a quality control measure. Well that is what I was telling myself to justify opening it early. This was the one wheel that I did not wrap in spruce. This wheel was only washed with the ale for 7 days, I was concerned that the paste was softening too fast so I stopped the wash early. These were some of the factors I would have to consider while tasting it. The main question remained…How would it taste? Look at the gooey goodness straight out of the fridge! I had high hopes for the cheese after looking at this wedge! 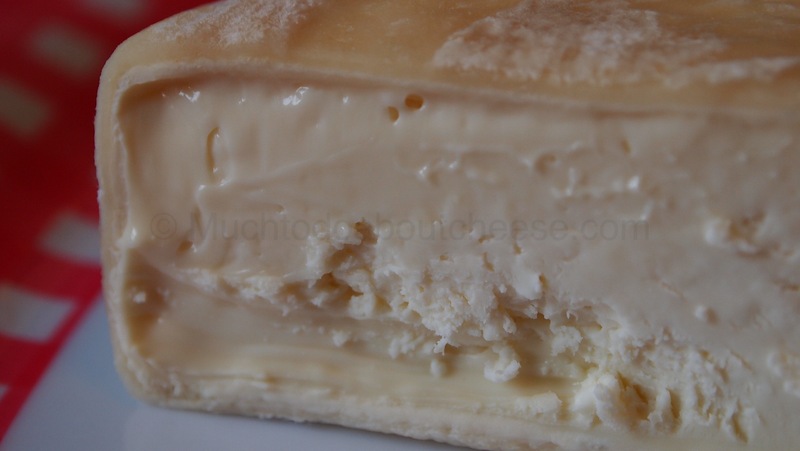 The centre was firmer but still soft, the paste near the rind was fondue like as it approached room temperature. The aroma was heavenly. Again how would it taste? I tried to cut the wedge smaller when it reached room temperature. It was like trying to cut into a fondue! Nose (aroma): Stinky with a capital “STINK” to begin with, but as the cheese approached room temperature you could pick up yeasty notes with a mix of the ale. Overall Taste: It was mild, it started with a sweet lactic flavour, then a sharpness that was almost bitter. It was hard to describe but it wasn’t bad. Sweet to Salty: I would say that this cheese was under salted, I think the short wash period had to do with it. Mild (mellow) to Robust to Pungent (stinky): At this point this cheese is middle of the road, not quite ready to be a full on stinker. Mouth Feel: (gritty, sandy, chewy, greasy, gummy, etc. ): Soft and gooey. This Amber Crossing was designated a Quality Control Cheese from day one. This strapping young cheese was pretty beat up in the beginning. It was a chore just to get the strap around it, and it looked like a mess for such a long time. I did not have high hopes for this one, but I was optimistic. I would only try half the wheel. I wanted to save the other half for when my family came to visit. The smell was great, the paste looked gooey, but again how would it taste? It tasted like pure joy! Appearance: Beige/brown with some white from the geo. The spruce straps had some geo and some blue on it. Nose (aroma): Yeasty, but with a mix of linens and a slight flora note at the end. Overall Taste: it starts with a slight lactic sweetness, then an earthiness, then a sharp flavour (possibly from the lipase in the lamb rennet paste I used) and finishes with a flavour that almost reminds me of cured meats. Sweet to Salty: This was a perfect balance of salt and sweet. 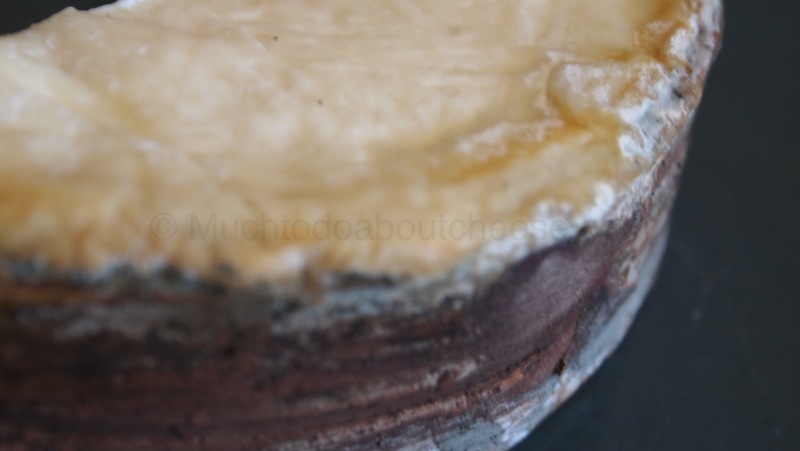 Mild (mellow) to Robust to Pungent (stinky): Aroma wise this is a robust cheese, but never judge a cheese by that alone. Mouth Feel: (gritty, sandy, chewy, greasy, gummy, etc. ): Soft, gooey, heavenly! 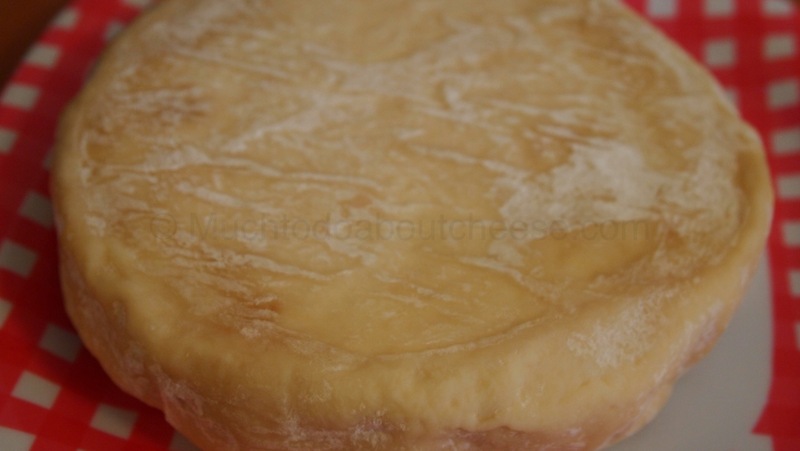 It is one thing to say what a cheese you make at home is supposed to taste like, but it is another thing to actually have it taste the way you envisioned it. I am over the moon about this cheese, and how did my family like the cheese you ask? This was all that was left at the end of the evening. It was part of a cheese plate and almost everything else was untouched. 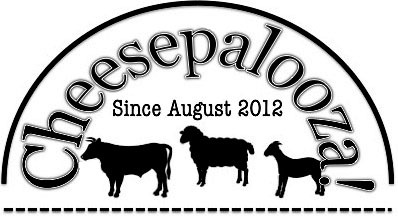 I am excited to share some of the remaining wheels with my friends at the next meeting of the League of YEG Home Cheese Makers this weekend. If any last that long. I will have some more pictures up on the Facebook page later in the week and I always share my cheese tasting on my Instagram feed as well. Until next time go and make some cheese! 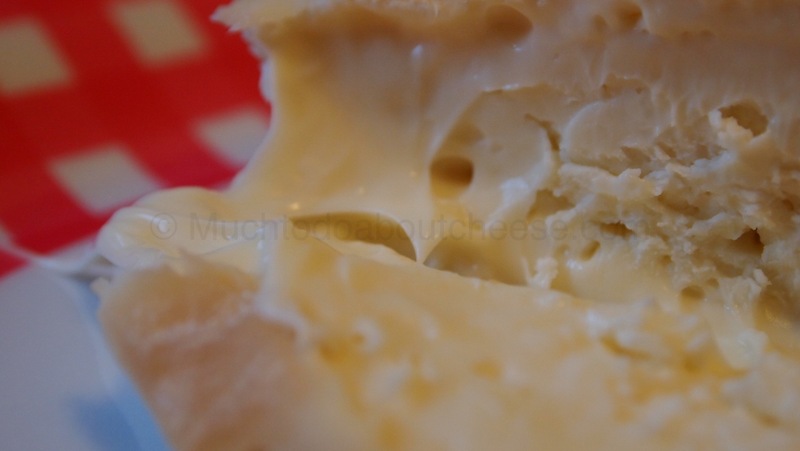 ← Go North Middle Aged Man & Take Your Cheese Making With You!